Contrary to appearances, the Rust Monster has not passed beyond the veil - there's still a little life left in the old girl yet, I promise. Although 2010's mostly been a wash for me as far as blogging (and gaming) goes, I'm hoping that the imminent move will help rejuvenate me (and help me expand my social circle - okay, so it's more of an arc than a circle at the moment, but I'm hoping this will improve when I no longer live in the boonies). It may be 2011 before I resume blogging on a regular basis, but I remain hopeful nonetheless. 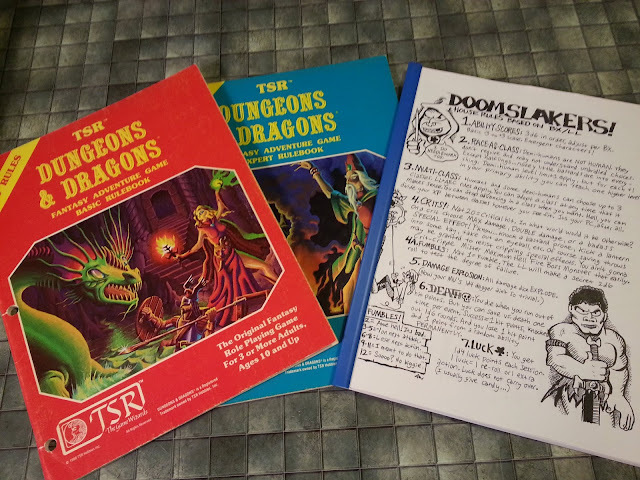 God's hooks, but I do love your character sheets sir! As for a Heroes Unlimited sheet, that may be a possibility. I think I have an older sheet (circa the late 90's) floating around somewhere. If I can find a copy, I'll scan an post it. If I can't find it, maybe I'll be able to find some time to tweak my Ninjas & Superspies sheet to fit the bill. Watch this space! 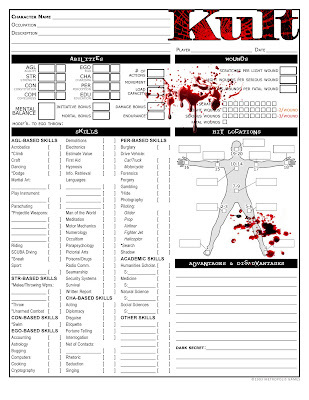 Good work :D I'm looking for a character sheet, simple but without "spoiler", easy to print and elegant. Could I use it for roll web like roll20? I'll specify the real author. If you think no, I'll understand you, It's a lot of work. Sorry for my english mistakes.